Kevin Kindall supports Alliance clients in Risk Management and Capital Efficiency. He has 15 years of experience in quantitative analysis and is a subject matter expert in derivatives pricing and statistical risk measures. Much of his career has been spent on trading floors supporting the front, middle, and back offices. He brings a wealth of practical knowledge and know-how and a proven track record of problem solving. Prior to joining Alliance, Kevin was the Director of Quantitative Analysis for the Commercial division of ConocoPhillips, and has held positions with Enron and FPL Energy. Kevin has a PhD in Physics from Clemson University, and a MS in Computational Finance from Carnegie Mellon University. 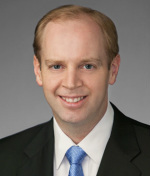 He is a member of the Tepper School of Business Alumni relations board and the IECA.